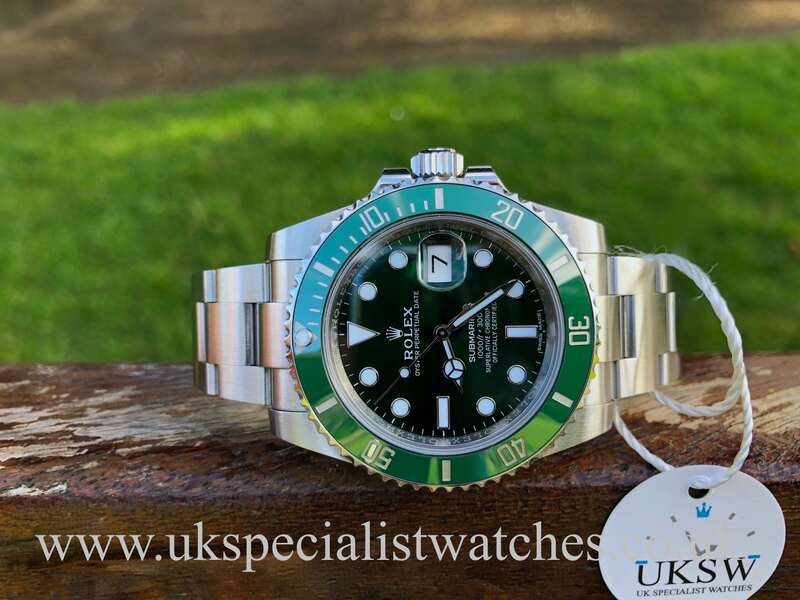 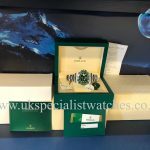 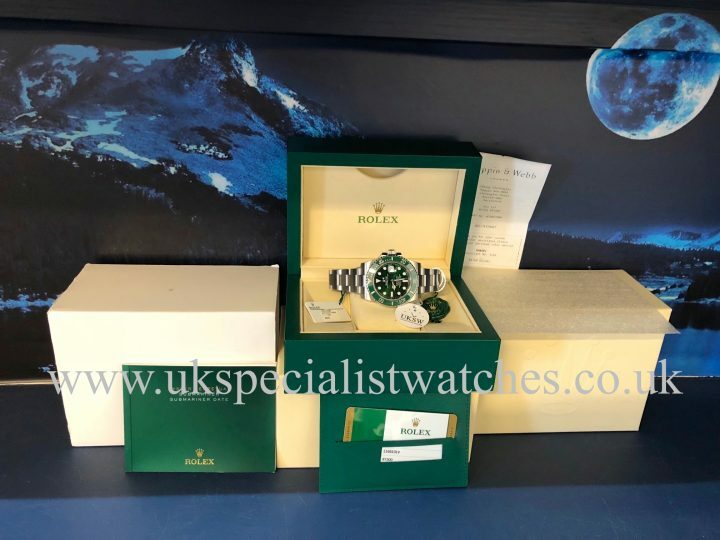 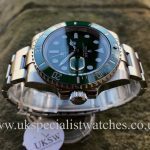 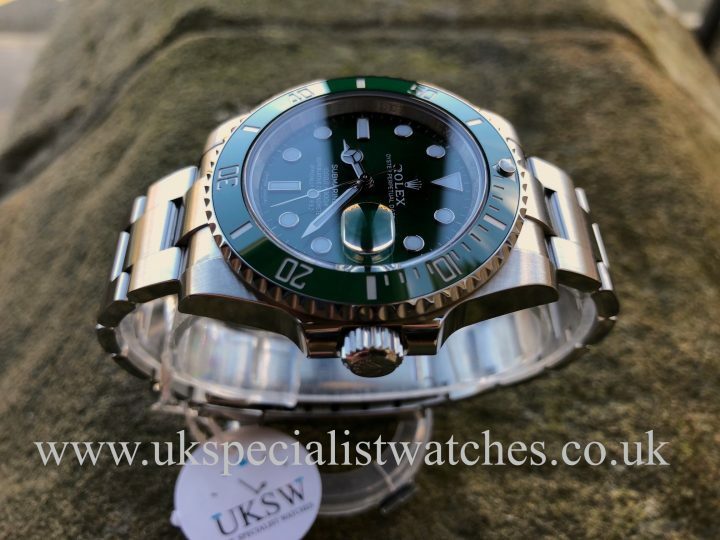 Rolex Submariner 116610LV Date. 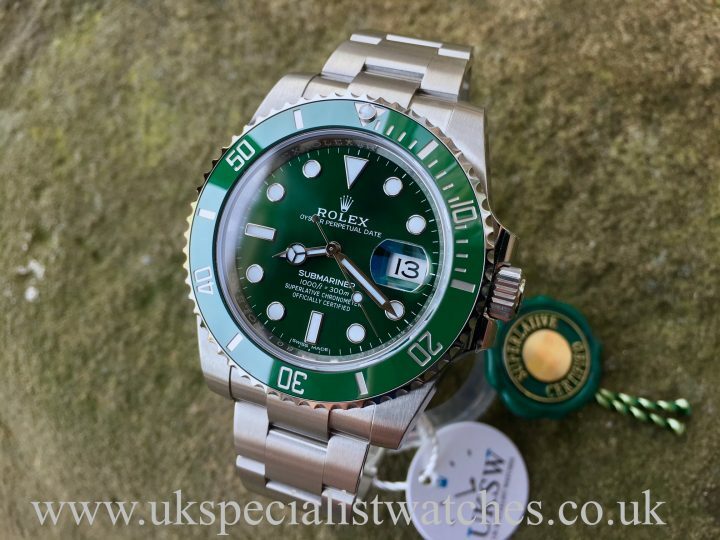 40mm stainless steel case with the infamous green dial and bezel. 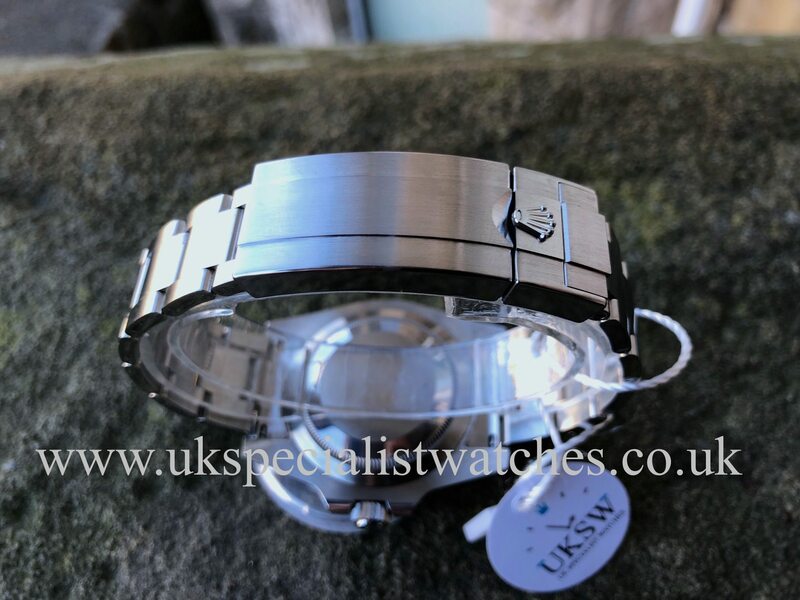 Fitted to a 904L stainless steel Oyster bracelet with the new glidelock clasp which enables smooth easy adjustment. 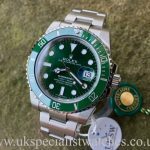 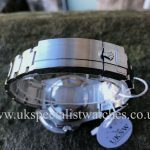 This is one of the most talked about watches at the moment with rumours of a possible discontinuation its one you cannot afford to miss before the prices rocket! Supplied new in 2014 comes complete with all boxes, instruction booklets, swing tags and stamped guarantee card.